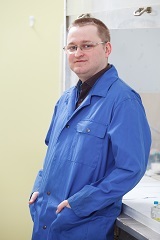 2003 - 2009 - Student, Moscow Physical Engineering Institute (State University), Molecular Physics Department. Participation in membrane research activities at A.V.Topchiev Institute of Petrochemical Synthesis, Russian Academy of Sciences (TIPS RAS). 2006 – 2007 research engineer at “Aquaservis”.